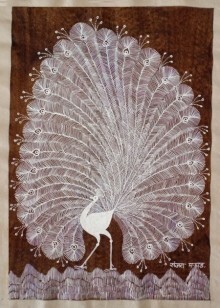 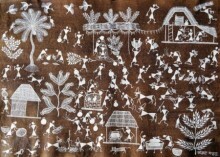 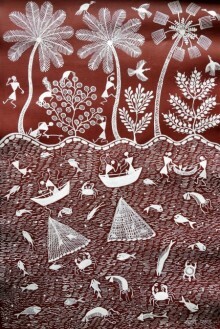 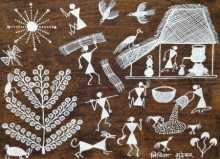 Warli is one of the oldest forms of Indian folk art and has its origins in the Warli region of Maharashtra. 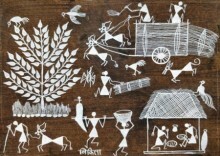 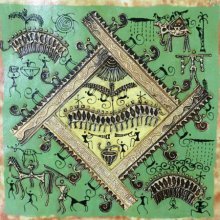 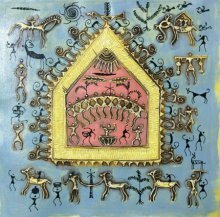 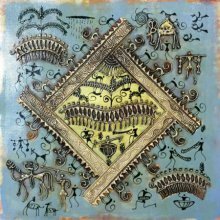 This form of tribal art mainly makes use of geometric shapes such as circles, triangles and squares to form numerous shapes depicting life and beliefs of the Warli tribe. 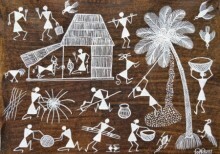 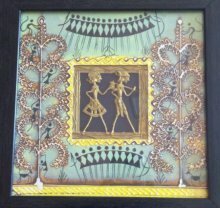 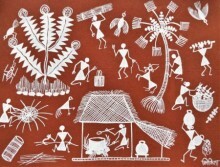 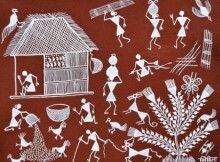 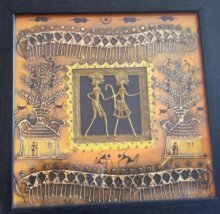 In olden days, Warli art was done on walls on special occasions. 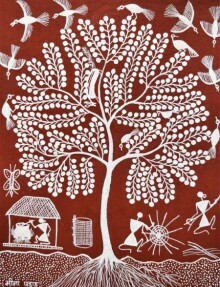 The painting would be done over a brown background which would basically be a mixture of mud and cow dung cakes. 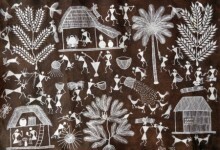 The white pigment used to draw shapes and figures would be a mixture of rice mixed with water and gum. 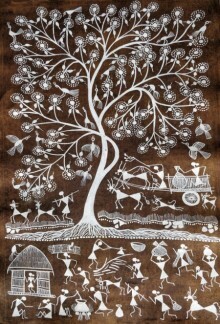 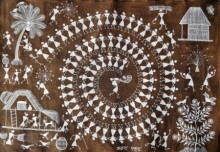 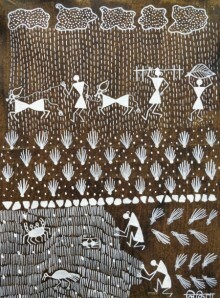 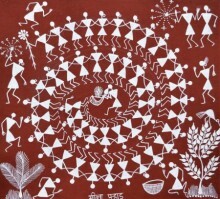 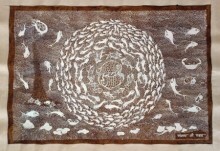 One of the most popular themes in Warli art is a spiral chain of humans around one central motif. 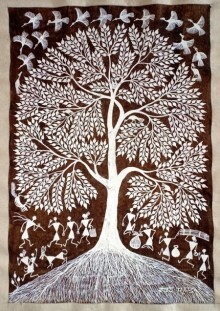 This in accordance with their belief that life is an eternal journey, and it has no beginning and end.